Bart Bettiga is the Executive Director of the National Tile Contractors Association and Publisher of TileLetter. Bettiga is a member of the Board of Governors of Coverings, one the largest tradeshows in North America. He has over 30 years of experience in the tile and stone industry and has served as the NTCA Executive Director since 2002. He is a well known speaker and author on ceramic tile and natural stone distribution and installation. 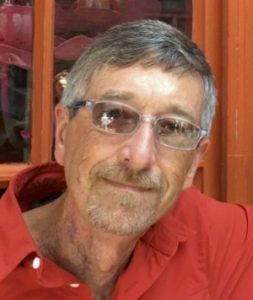 He oversees the financial operations of the NTCA, TileLetter and the Ceramic Tile Education Foundation. In 2018, our training department, led by NTCA Training Director Mark Heinlein and supported by NTCA Technical Trainers Robb Roderick, Scott Carothers and Luis Bautista, presented more than 20 NTCA Regional Training programs. These events were day-long training sessions, offered to NTCA members and their employees, as a response to years of requests for this type of educational content. As the year progressed, our program improved, so much so that at the end of 2018, our members were not only singing the praises of the content of the education, they were calling for more. More programs, more opportunity to network and share ideas and techniques together, more hands-on experience, etc. NTCA Assistant Executive Director Jim Olson is responsible for the scheduling and overall management of the process related to workshops, and regional training. Workshops – as a reminder – are what the NTCA became known for the past 40 or so years. 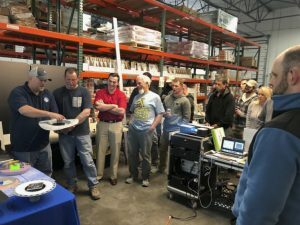 These were evening educational events offered as an overview of installation best practices, product standards awareness, and introduction of new technology to the trade. Last year, NTCA trainers offered both the traditional workshop sessions, and we also introduced the NTCA Regional Training program. In 2019, although we will continue down this path (in fact there will still be more than 100 traditional NTCA Workshops offered in 2019), we will expand and combine these two programs into a one-week long experience in many cities across the nation. Titled the “NTCA Training Xperience,” our trainers will work with a local regional host to offer a threefold week-long program. This will include a traditional Workshop that will be open and free to all interested industry professionals. This will be followed by a free regional training event available to NTCA members and their employees, and will close with a free open round table discussion for NTCA members to allow sharing of ideas, challenges, business tips, problem solving tips and more. Did I mention all these offerings are free? (NTCA Regional Training programs require a nominal fee to hold the space, which is refunded upon attendance). Offering education without charge is one more way NTCA is making training and professional excellence available to the industry at large, and to its members. Here is a little more information on the content you can expect from The NTCA Training Experience in 2019. GPTP Training programs will be based on ANSI A108.19. Programs will be held at Crossville and Daltile locations and will focus on all aspects of standards-based installation and best practices for installing gauged porcelain tile panels (GPTP) on floors and walls in interior applications. These programs will be supported by material and system experts from the GPTP, setting material and specialty tool manufacturers. The training day begins promptly at 8 am with a 90-minute classroom session followed by six hours of hands on training. This training meets the requirements of ANSI A108.19. Participating attendees will receive a certificate of course completion. Substrate Prep/Large-Format Tile programs are based on installation standards, methods and best practices from ANSI A108, TCNA Handbook and the NTCA Reference Manual. Proper substrate installation, analysis and preparation is absolutely critical to every tile installation. This program focuses on a variety of substrate preparation techniques for floors and walls to meet the industry standard requirements for large-format tiles (LFT). After substrates have been properly prepared, attendees will focus on proper selection and mixing of mortar for LFT and correct trowel selection and usage to achieve industry-required rates of coverage to support tile installations on floors and walls in dry and wet areas. These may sound like common day-to-day tasks for any tile setter, and they are. This course is recommended for anyone involved in the tile industry. Seasoned experts may learn new techniques while those new to the trade will receive a solid grounding in best practices to achieve industry standards and long-lasting, beautiful installations. These programs are a benefit to NTCA Members. We will also be bringing our classic programs “Tile Matters – Best Practices for Pros” and “Failures – Could It Be Me?” to select locations that may not yet be familiar with these exceptional hands-on based presentations. 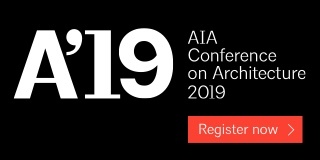 Many of our programs in 2019 are AIA and IDCEC accredited. Professionals from all walks of the tile industry are welcome and encouraged to attend. Our attendees always have a good time. Many tell us they learn something new every time they attend. It is also a great place to make new professional acquaintances, be exposed to new products from manufacturers, learn how NTCA membership can contribute to one’s professional growth – and maybe even take a door prize home at the end of the evening. At select locations, NTCA members are invited to join a round table discussion hosted by their regional director and ambassadors and facilitated by NTCA staff. Topics will vary by location and may include: taking advantage of member benefits; networking with other members and peers; current issues affecting methods, standards, best practices, safety, training, finding and retaining employees; discussion of local and regional issues of concern. Dates and locations for NTCA roundtables will be announced soon. We are very excited about the NTCA Training Xperience. We feel that there is no replacement to the benefits offered by presenting physical skills training in as many areas of the country as possible. It is our hope that the synergy created in these events will result in a trickle-down positive effect: installers who are present at the training will share this knowledge with their peers who were not able to be there, resulting in improved installation performance and reduction of installation error. For a complete schedule for 2019, visit the NTCA website. If you would like even more information about the NTCA Training Xperience, contact Jim Olson or Mark Heinlein. 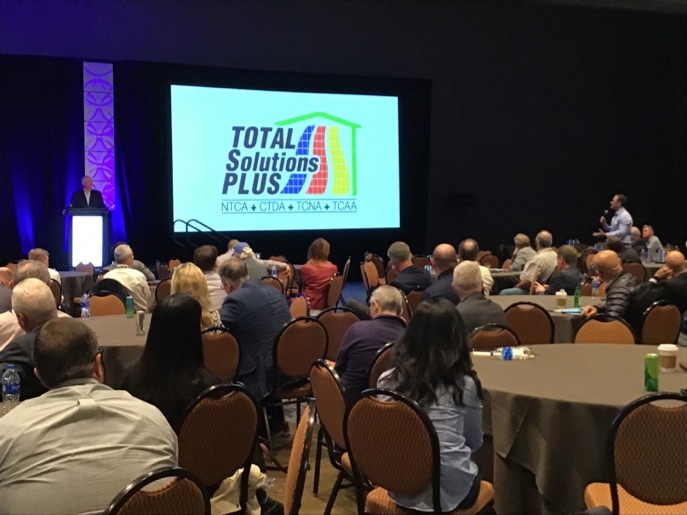 At Total Solutions Plus, NTCA leaders presented a 2018 annual report for its members, coupled with new initiatives for 2019. Highlights included shifting strategic emphasis from new member recruitment towards a stronger effort to providing value for existing members. Examples of new value-added options for members include a Multiple Employer 401(k) Plan for NTCA members, paired up with a payroll service option to complement this important retention tool. NTCA hopes to add a healthcare option for members in 2019. 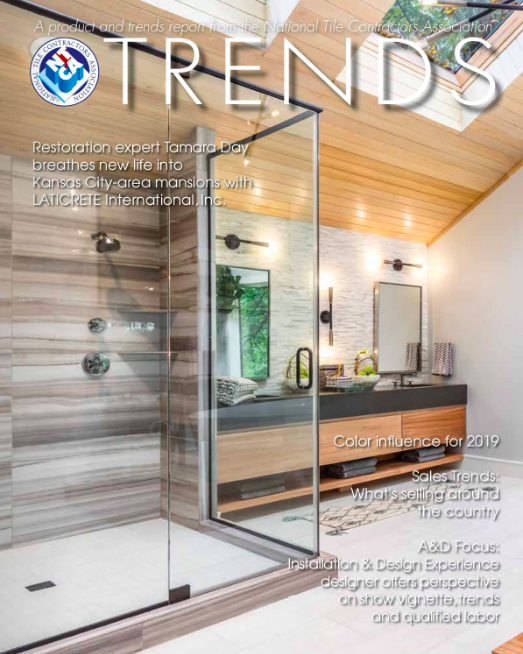 Perhaps the most important shift in strategy for NTCA will begin to take place in the second part of 2019, as the association begins to develop plans to promote its members aggressively to designers, architects, general contractors and remodelers. At Total Solutions Plus, NTCA leaders presented a 2018 Annual Report for its members, coupled with new initiatives for 2019. We are committed to investing our resources in the best way we know how; by adding additional professional staff in key areas of need in our association. In 2018, we filled two such needs with the hiring of Stephanie Samulski as Director of Technical Services, and Avia Haynes as director of Marketing and Communications. Stephanie will take a leadership role in NTCA efforts to provide contractor perspective and input in the development and revision of industry standards and methods. 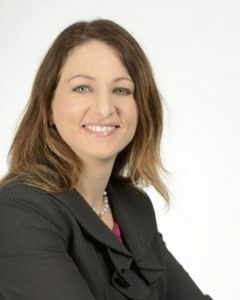 Avia Haynes’ main focus in 2019 will center on improving NTCA brand image in all aspects of the tile industry. NTCA’s 2019 marketing goals are part of an aggressive plan that will lay the foundation for the next two years of initiatives. Our main objectives for 2019 are to strengthen the NTCA and TileLetter brands; to execute an integrated communications process that will enable our email, web, print and social communications to work together; and to put infrastructure in place as the groundwork for future endeavors, like promoting NTCA members in the construction industry. NTCA’s big focus will be to generate more engagement between the association and its current members. We are hoping to hear more from our members and learn more about them. During 2019, there will be two main initiatives to help with this. The first, which has a target launch for early 2019, will give the members an opportunity to show off the fantastic work they do. The second, which has a target launch for Q2 in 2019, will help us learn more about our members and allow us to create targeted messages and programs based on the demographics of our membership. There will be a concentrated focus in 2019 on overhauling the TileLetter website at Tileletter.com. Starting in the first quarter, visitors will start to notice changes in the site. We plan to reorganize and refresh the site throughout the year to create a better experience for users and our supporters. We are intent on creating a site that will attract more views by year’s end. While we know our 2019 plan is very ambitious, we are confident that with the support of our board, committees and members, we will be able to reach all of our goals. The serious lack of skilled tile craftspeople entering the market was a key concern for all sectors of the trade during the tile industry panel discussion at Total Solutions Plus. At the state of the tile industry panel discussion at Total Solutions Plus, one of the most important concerns that all sectors of our trade commented on was the serious lack of skilled tile craftspeople entering the market. Despite quality efforts to recruit capable and qualified individuals into the tile industry that have taken place at the grass roots level, everyone agreed that the industry needs to collectively work together in this arena. NTCA and other organizations will look to play a leading role in helping to spark new ideas and in outlining strategies that will work. This was identified as a key NTCA strategic objective for 2019. In addition to needing new workers to enter the trade, NTCA leaders acknowledge an additional challenge: the need for additional training and education for the existing skilled workforce, to keep up with changing technology in manufacturing. In 2018, NTCA trainers began offering regional education for our members, and we will expand this effort in 2019. NTCA University, an online training school intended to help foster apprenticeship development and support company training efforts, will continue to expand its offerings. In 2018, over 5,000 courses were completed by people taking advantage of this important educational support tool. NTCA now has over 1,500 members, representing thousands of tile and stone installers and industry professionals. Our staff now consists of over 15 full and part time professionals, and we are committed to being accessible, supportive and attentive to our members. We take pride in being the Voice of the Tile Contractor, and we look forward to the challenges we have identified to help our industry to continue to thrive and gain market share. Numbers don’t lie. The numbers tell us as leaders in the tile industry that we have a challenge we must overcome, and it is two-fold. First, we are facing a tile market poised for growth. The U.S. Bureau of Labor and Statistics forecasts that prospective employment of flooring installers and tile and marble installers should grow at least ten percent by 2026, faster than the average for all occupations. Technology in the tile industry, coupled with a healthy construction economy, creates opportunities to exceed these projections. This is the good news. Innovative manufacturing technology has created a stronger need for the development of training and certification programs. The bad news is that currently it does not appear as if there are enough trained and qualified people working in our industry to meet this demand. Industry leaders are aware of this dilemma. In 2016, there were approximately 58,000 tile and marble setters working in the trade, and that is expected to grow to almost 65,000 in the next several years. As workers retire or leave the trade, we must not only replace them with new ones, we must recruit thousands more if we are going to help the industry meet expectations. The entire construction industry realizes that recruiting new people into the trade is a daunting challenge, so the competition to find quality people is fierce and the winners will be the ones that act quickly and aggressively. Ceramic tile installation takes years to master. Experts believe that to be a craftsperson who can master most tile installations, it requires a minimum of three to four years of experience in the field, coupled with a strong training program to reinforce product knowledge and create awareness of industry standards and best practices. Training is the second part of the challenge that our industry is facing. It is not enough to just find workers to choose the tile industry over other career choices. Instead, we must make sure these workers are being trained and certified in a professional manner, helping them to establish a strong career path and meet our industry needs. Becky Serbin is the NTCA Training and Education Coordinator. She is overseeing the development of apprenticeship training curriculum, utilizing online learning modules available for members to train both new installers entering the trade and current installers on product knowledge and industry standards. Currently, NTCA members can use these courses to develop their own company apprenticeship programs, and they can work with federal and state Departments of Labor to have the program monitored and approved. companies that only need a few apprentices to come to work for them – but who don’t have the resources to develop their own program – could work with NTCA to solve this challenge. We hope to roll out this program in 2019 to our members. 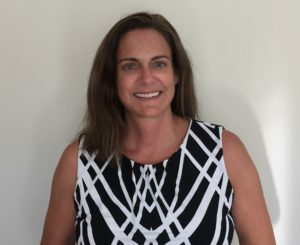 NTCA has hired Stephanie Samulski, formerly with the Tile Council of North America (TCNA), as our Director of Technical Services. She will work closely with our Technical Director Mark Heinlein, Technical Trainers and Training and Education Coordinator to provide technical content, consistency and accuracy in our program development. 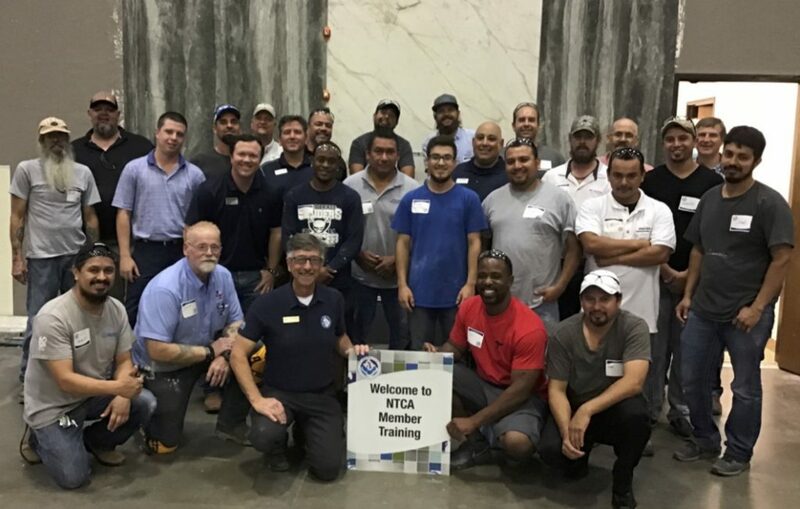 NTCA Technical Trainers now offer regional hands-on training in many areas, helping installers master their skills, and preparing them for certification tests being offered by the Ceramic Tile Education Foundation. Certification is important to help instill consumer confidence in our industry’s ability to perform successful installations with today’s innovative but changing technology. Large-format, gauged porcelain tile panels and slabs are a perfect example of this. Certification and training are essential for these products because even highly skilled installers who have been in the field for years will admit this is a different type of installation than what they were trained for. One thing we’ve realized is we need to promote and market our training and industry certification programs to our industry and to consumers, builders and general contractors who are looking to us to solve their problems. So NTCA hired Avia Haynes as Director of Marketing and Communications to help create programs to recruit workers, promote certification and training, increase participation and engagement in our programs. We realize that many things will need to happen for us to be successful. Recruiting young people into our industry who have the desire to learn a trade is essential. NTCA provides important tools to our members – apprenticeship programs and online learning systems such as NTCA University – to help prepare workers quickly, and to help them to become certified and highly skilled. Marketing their skills to consumers to instill confidence in our industry is the final piece to this puzzle. 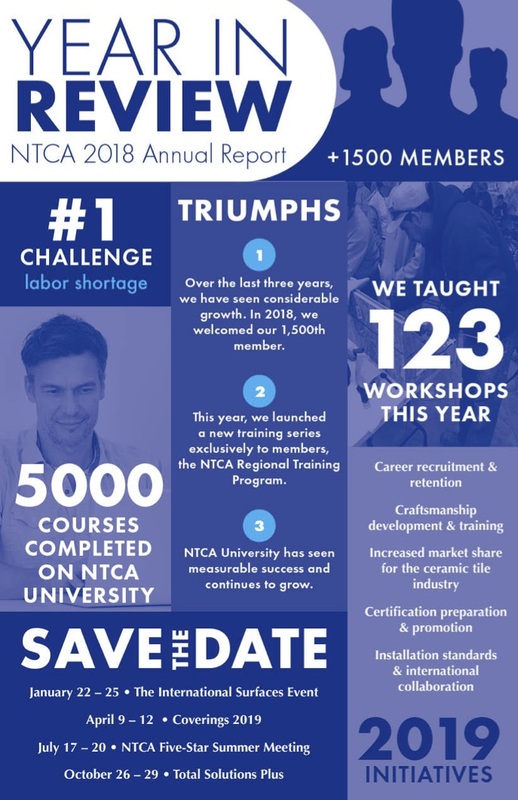 NTCA prides itself on being a leader in the tile industry, and we will continue to work with manufacturers, distributors and our contractor members to help ensure our trade can meet this important challenge in the next several years. Failed tile installations are not only disappointments and inconveniences to owners, and very expensive problems to installers, both in terms of out-of-pocket costs as well as in reputation. They also hurt everyone in our tile and stone industry in a major way. What do you think people do who have a problem with something that they spent a lot of money on that may have resulted in additional costs, lots of inconvenience, and perhaps is a daily eyesore? They complain to others (negative advertising) and they probably select something else the next time. All of this costs our industry in sales and reputation, which affects all of our livelihoods regardless if we are a manufacturer, a distributor or an installer. Our industry has grown tremendously over the last 20 years, and the skilled labor hasn’t been able to keep up with the demand and market changes. Plus, our tile products, installation products, and construction conditions and requirements have changed. Unfortunately many installers don’t learn their trade and skills at a trade school; they learn on the job taught by others, which may or may not be consistent with the current industry installation standards. Many tile installers don’t have the opportunity to easily receive continued education to learn about new standards and products. Installers often don’t have an opportunity to learn all of the industry standards or to fully understand the complexity of their work without having to miss work and spend a lot of time and money. Industry standards are based on the experience and mistakes of those who have gone before us – family members, manufacturers, and others who then serve on industry committees to develop standards. If tile installers follow industry standards and manufacturers’ directions, they can avoid failures and have successful tile installations to perpetuate and grow our businesses and industry. 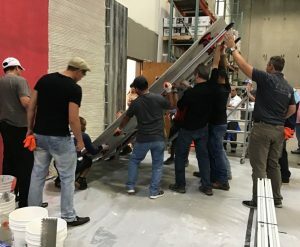 Tile installer training is an investment that everyone in the industry benefits from because when there is a problem it doesn’t matter who is at fault, we all will pay one way or the other with our time, money or reputation. That is why the University of Ceramic Tile and Stone (UofCTS) developed the new online Tile Installer Thin-set Standards (ITS) Verification course and why NTCA endorses and is making it available to its members and the industry. This course focuses on standards for thinset application in terms of the required substrate conditions, proper preparation of substrate and tile, proper thinset application, proper installation methods, and proper quality control steps that all tile installers should incorporate into their work. The ITS Verification course applies to and covers ceramic tile, glass tile, stone tile or any other type of adhered tile product whether thin-set mortar, epoxy or mastic adhesives are used. By making this training course on thinset standards readily available to tile installers throughout North America at an affordable cost without any travel expenses or loss of income, we are helping our industry grow, while avoiding tile problems. Tile installers who take the ITS Verification online self-paced course and pass it with a score of 80% or better will receive a Certificate of Completion indicating that they learned the industry standards and demonstrated that they understood what they learned. Having completed the ITS Verification course – or using the ITS designation next to their name – doesn’t guarantee that the tile installer has the skill set to do good work or will do good work, but it does verify they know the standards, and knowing the standards is the first stepping stone to avoiding tile installation problems. The ITS Verification certificate expires after two years and the updated ITS Verification course must be taken every other year to remain ITS Verified and current. This is a great continuing education opportunity for tile installers, so they can easily keep up with the changes in our standards and products. Online training is not intended to replace hands-on training or classroom training, but rather supplements live instruction and makes training more accessible and affordable, so a larger number of installers can be trained in a relatively short period of time. Online training of this type, utilizing the technology of a Learning Management System (LMS), is not only a very effective approach to training, but it is very practical. The students have 24/7 access and can take interactive courses at their convenience, at their own pace, as long as they have a computer and an internet connection. There are no travel expenses or lost productivity incurred by the student or the trainer. There are management reports available to employers, so they can monitor the progress and results of their tile installers. UofCTS, founded in 2002, utilizes the latest Learning Management System (LMS) technology to deliver online training, which is the same as that used by higher education institutions. The UofCTS self -paced courses are interactive and loaded with pictures, video clips, animations and are professionally narrated. Some courses are taught in both English and Spanish to accommodate the large Hispanic workforce in the tile industry. UofCTS courses are based on industry standards and manufacturers’ requirements, utilizing the knowledge of industry experts. UofCTS professional instructional designers, who have degrees in adult education, organize the course content utilizing the latest educational methodologies to maximize learning and retention. UofCTS professional technology developers utilize the most advanced technology tools to convert the instructional designer’s storyboards to professional courses that are not only effective for training, but are interactive and enjoyable for the student. Once a student is registered for a course they receive automated email notices from the campus to give them instructions on how to access the courses, reminders to complete the courses, a final congratulations/passing notice with instructions on how to print their diploma and a link to download a student handout that summarizes the key course content for them to refer to later. The student is given 14 days to complete the five-hour course with 24/7 access. NTCA is encouraging architects, designers, general contractors and manufacturers to require that the professional tile installers on their projects are ITS Verified and/or be a Certified Tile Installer through CTEF to help prevent problems and to incentivize installers to become ITS Verified. NTCA also encourages tile installers to become ITS Verified to differentiate themselves as a professional installer or installation company, allowing them to generate more jobs and profit, and to avoid costly problems. NTCA is offering NTCA members special course tuition discounts as another benefit for being a member of the NTCA. NTCA also offers the UofCTS Understanding the Basics of Ceramic Tile course and the UofCTS Understanding the Basics of Natural Stone course that can be purchased on the UofCTS website. Both courses go into depth on how tile and stone are produced, utilized, installed, selected and maintained. The course is taught with a sales emphasis on professional consultative sales techniques and points out key industry standards, which is an ideal course for installers, architects, salespeople, designers or anyone interested in tile and stone. To watch a short video preview of the Tile Installer ITS course or the other courses to get a preview of what to expect, visit https://www.tile-assn.com/page/CTS. 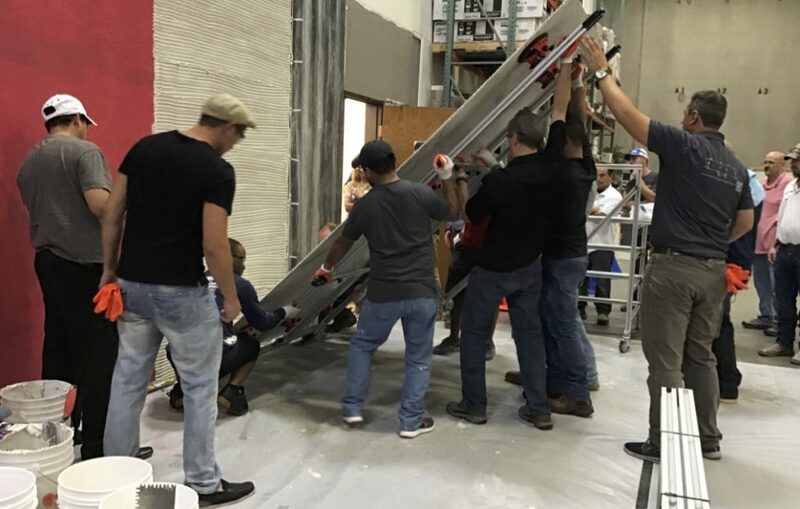 Several conference seminars and forums addressed the OSHA Respirable Crystalline Silica Rule and how it affects the tile industry at the Coverings Trade Show held recently in Atlanta. At Total Solutions Plus, taking place October 27th-30th in Grapevine, Texas, we will continue these lively and productive discussions. This is the best way we at NTCA know how to effectively lead, by facilitating group discussions from leaders from the entire industry to help us better interpret the rule and to address best practices in order to help our members stay in compliance. NTCA has supported the Tile Council of North America’s (TCNA) efforts to understand the silica issue as it relates to the tile industry by helping to provide the contractor perspective and to assist their research in field testing for their reports. 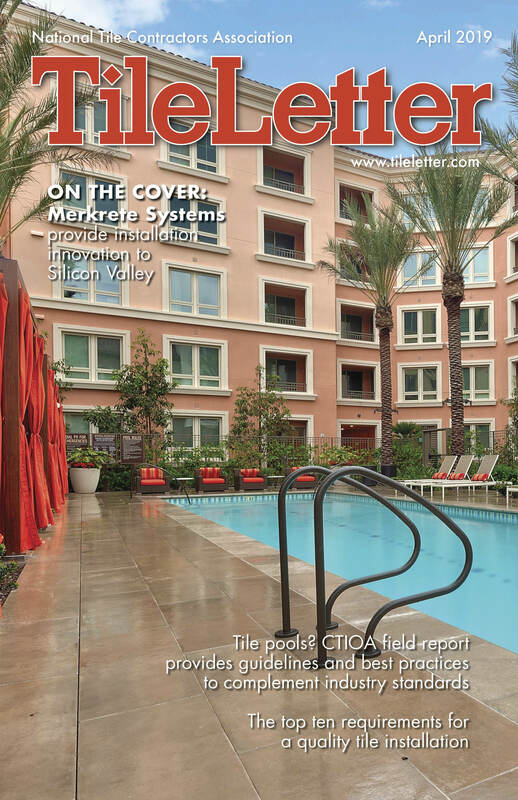 A new report from TCNA addressing California Proposition 65 will be released later this summer. 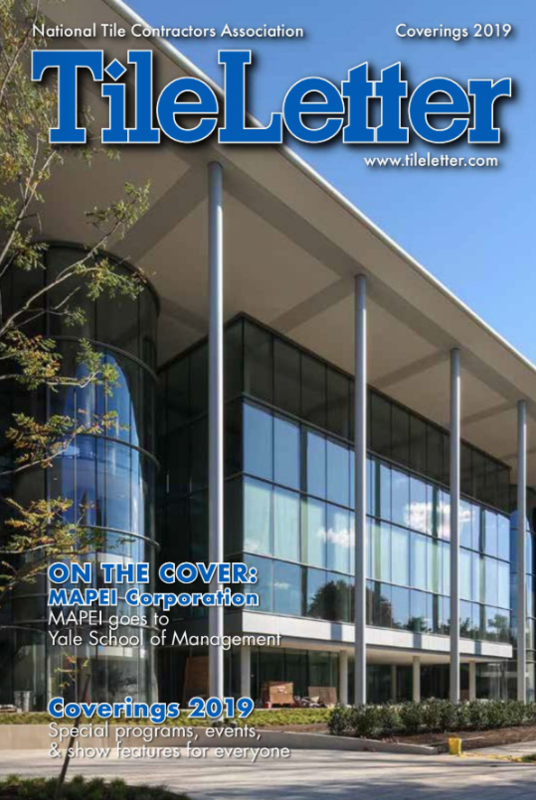 In TileLetter’s June issue of Tech Talk (pages 62-70), we covered topics addressed during a Coverings sponsored forum on the OSHA’s Respirable Crystalline Silica Rule. In our coverage, we correctly outlined the real concern that exists if workers do not follow best practices in the tile industry as it relates to respirable crystalline silica exposure. We followed that with specific examples of installation best practices and products being developed to assist in compliance. The most important point to understand about respirable crystalline silica as it concerns the tile industry was not pointed out or stated emphatically enough in this article. Here is the bottom line – When tile installers cut ceramic tile with either a snap cutter or a wet saw, the risk level has been proven to be very low. If there is one message that should be shouted from the rooftops to every installer in the field, it is the following: Do not dry cut tile using motorized equipment. Only dry cut tile with a snap cutter. 2) provide approved dust collection equipment when grinding or mechanically disturbing concrete surfaces. It is important to be realistic in understanding this issue. It does not make a lot of sense to regularly dry cut tile or use angle grinders without utilizing a sponge or shroud to control the dust. So to think that installers are going to have to completely change the way they work is just not true. However, the information we are garnering from this study can be shared with tile contractors to help them create a safer workplace environment and to remove all concerns that the exposure levels of respirable crystalline silica are a risk to our valued installers. The NTCA will work with industry leaders to draft a statement that can be used to help tile contractors and affiliates in the industry to communicate inquiries related to OSHA compliance so that others will understand that tile setting is not a health hazard. Celebrating its 65th year as a leading trade association, the National Tile Contractors Association now has added this beautiful Mercedes Benz customized van to its traveling road show program. Michael Whistler, NTCA trainer who resides in Montana, will be spotted in the van as he travels throughout the United States this year, performing educational programs at over 35 NTCA symposium programs for the trade and the architectural and design community. The logos on the van are proudly displayed as support from our associate members for the NTCA symposium program. NTCA trainer Gerald Sloan, who resides in Birmingham, Alabama, utilizes a Ford F250 pickup truck with an attached trailer with associate member logos displayed as well. Sloan will also be traveling in the U.S. this year, hosting a similar number of programs as Whistler. The NTCA symposium program is being hosted and sponsored exclusively by Dal-Tile Corporation for 2012. The NTCA Board of Directors voted unanimously to authorize the purchase of the van at its Board of Directors meeting in November. A better gas mileage performance will help offset the costs of the investment over time. Whistler says the van “drives like a dream”. Check out the upcoming schedule of NTCA Symposium programs at www.tile-assn.com/workshops and pencil in your time to attend an event in 2012.